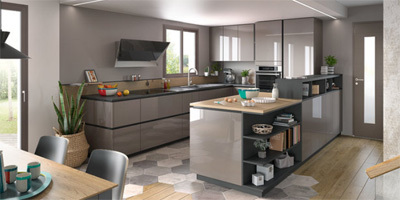 Your Mobalpa Pinner store offers a wide selection of fitted kitchen styles. Because your kitchen should be ergonomic, well thought-out, and optimised to make your life easier, our designers will produce a custom design including a large range of units (upper and lower cabinets, cupboards, fronts, tailor-made worktops, and more). With layout advice personalised to suit your needs and budget, the Mobalpa Pinner store team will put its expertise to work to furnish your space with your preferences in mind. Book an appointment in store and get your bespoke project off to a start with a free quote and 3D plan. See very you soon at Mobalpa Pinner.